The owner of Golden Shirt of Rs 1.27 crore weighing 3.5 kgs Dattatray Phuge, a businessman from Pune, was brutally killed on Thursday night . Share Reacho articles on Facebook and Twitter and get exciting rewards! Click on the buttons below to connect to Facebook and Twitter. This will be a one-time exercise. Share the articles to your social feed using "Reacho Rewards" button. Earn points for each unique and visible share. Get exciting rewards on accumulated points. Oops something went wrong please try again later after reloading the page. This link has already been shared. Please auhorize to continue sharing on twitter. 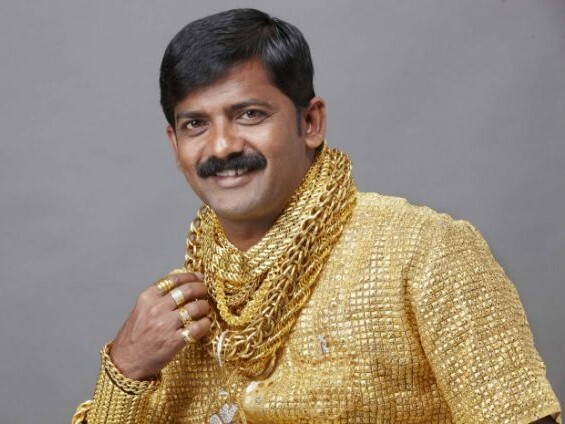 The owner of Golden Shirt of Rs 1.27 crore weighing 3.5 kgs Dattatray Phuge, a businessman from Pune, was brutally killed on Thursday night reportedly with the stones and sharp weapons. The incident took place in an open ground in the Dighi area of Pimpri-Chinchwad at around 11:30 PM last night and there were 12 people who attacked Phuge with sharp weapons, killing him on the spot. Phuge was an ex-operator from the Nationalist Congress Party, and he was running a chit fund and had reportedly collected money from several investors. Dighi police station inspector Navnath Ghogare said, “As per preliminary information, Phuge and his son were invited by one of the suspects, who know each other, to celebrate a birthday. However, we are investigating how Phuge reached the open ground where he was murdered”. “Dattatray Phuge’s 22-year-old son is the witness of his father’s murder but was spared by the attackers,” police said. Download Reacho on Android or iOS to get more interesting stories at your fingertips. Like our facebook page to stay updated. You can also download Reacho app on Android or iOS to get interesting stories at your fingertips. Get most interesting stories from Reacho directly into your mailbox. We won't spam you, promise!